I have always loved travelling. I love meeting new people, learning a new culture and discovering new horizons. But I have always had issues packing for any trip, especially with clothes and toiletries. I never know what to pack and what to bring, so I will always the one ended up with the largest luggage in the group. The situation is the same when I go to the gym. I will always shower before I head back to my house, so I always have my toiletries with me, in the car. And you should have seen my gym bag. It is bigger than a one-nighter! Why? Because I will bring the toiletries as is - my moisturizer, body shower, facial wash, shampoo, perfume and hair gel. So now you can imagine how big my toiletries bag is. 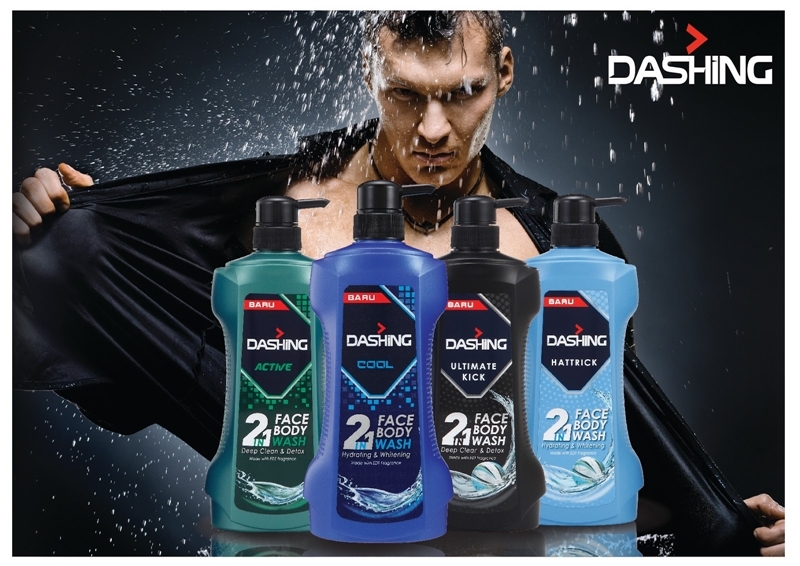 Thanks to the new Dashing 2 in 1 Face & Body Wash, I could now reduce the size of my gym bag. Dashing 2 in 1 Face & Body Wash offers a complete clean, an energising sense of freshness and a lasting good smelling - from head to toe. This face and body wash comes in a 700-gram convenient pump pack design and available in 4 variants: Cool, Active, Hattrick and Ultimate Kick. And it is infused with the eau de toilette (EDT) perfume that gives it a long-lasting fragrance to suit a men's attitude of the day. Cool: A wash for a man who is nonchalant, loves hanging out with friends and takes life easy - basically just being cool. It has a hint of bergamot and galbanum whilst accents with powdery amber and musk as its base note. Active: As per its name, it fits the man who is always on the go and passionate about outdoor activities. The confident scent in Active comes from modern fougere nuances combines with a bight citrus top note, muguet heart and a novel amber background and will certainly keep any man confident and active without being having to worry about his scent. Ultimate Kick: Suitable for those who are suave in his daily, the wash features summer-like active fragrance such as lemon, enhanced with cardamom, vanilla and a musky base. Hattrick: This one is for those on a winning mission and intends to win it all, over and over again. Hattrick exudes the unique combination of apple and citrusy freshness, infused with floral notes and a hint of amber. Cool & Hattrick variants has a dual-action formula with triple whitening actives that gently and effectively cleanses for the even facial skin tone and brighter look. Whereas, on the body, the hydrating formulation contains micro-minerals that help improving skin moisturization and strengthen the skin's defence system, leaving the body fresh and healthier. Whereas for the Active and Ultimate Kick variants, it removes impurities and excess oil for that clear and matte look face. With its deep clean and detoxification properties, it prepares the skin against daily aggression. And for all those benefits, it will only cost you RM17.90 per bottle and you will save a lot, money wise and also space wise for me! I heard bout this brand during my dad time. Remember I bought this for my father's day gift when i am a small girl. Dashing ni selalu nampak ads kat TV. Hubby tak pernah try pulak brand ni tapi kalau wife dia belikan, dia pakai ajer. Hehe. Kena juga ada penjagaan kulit muka sebab muka lelaki ni selalunya berminyak. Aktif katanya. The price looks affordable. Will get a set for my husband to try it out. Dashing always my favourite brand during my younger days. I live masculin fragrance 😋 Now they have many range. 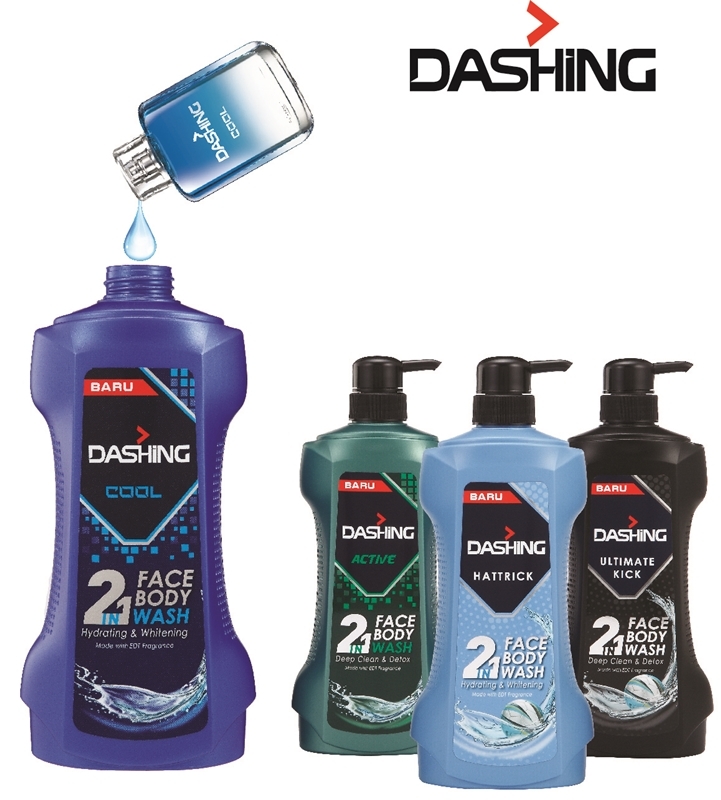 Ehh bagus jugak dashing buat 2 in 1 kan..senanglah kaum lelaki..tak yah pening2 pikir nak beli pencuci muka atau sabun mandi..yg terus semua dalm satu. Grew up with Dashing in the household. Glad to see how they have grown, offering so many varieties of products for men. Am surprised that with its many functions, it is not even RM20. Really worth the money! I think my bf will like this as well. bagus kan produk ni baby? semua dalam 1! menjimatkan tak payah beli banyak-banyak habiskan duit. wangi pun wangi dan yang penting selesa! Amboi intro dia memang kena sangat. Kita pun kalau boleh semua nak hangkut. 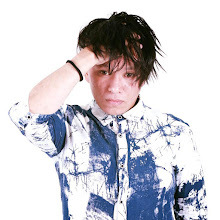 Macam nak hangkut satu toilet dlm beg. Hehe. So dah ada 2 in 1 use utk muka dan badan sekali senanglah. Brw jarang jumpa mavm ni sb setahu i produk utk muka must be gentle kan. Nanti nak cubalah. Bagus kan produk ni. Bau semerbak dan memang best. Sekarang kaum Adam takleh la nak malas utk menjaga penampilan diri. Semuanya tersedia dari Dashing. Dashing is coming out another cool product!! This 2 in 1 function is so cool, every men can smell dashing and stay cool all the time. Betul, guys memang tak suka pakai banyak banyak products so this 2 in 1 is very ngam. Can jimat space when travel and also senang untuk yang pergi gym. Memang sesuai produk ini untuk lelaki. 2 in 1 senang nak bawa ke sana sini tak payah dah nak fikir nak bawa banyal botol dan beratkan beg bukan. Harga pun berpatutan dan mampu milik.